Hopper front allows immediate access and instant visibility. Ribbed reinforced walls ensure superior strength, wide ledges allow for 150 lb. 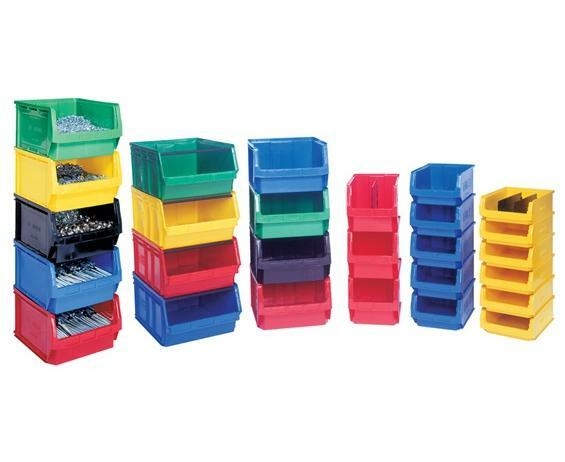 stack capacity per bin and interlock for positive stacking. 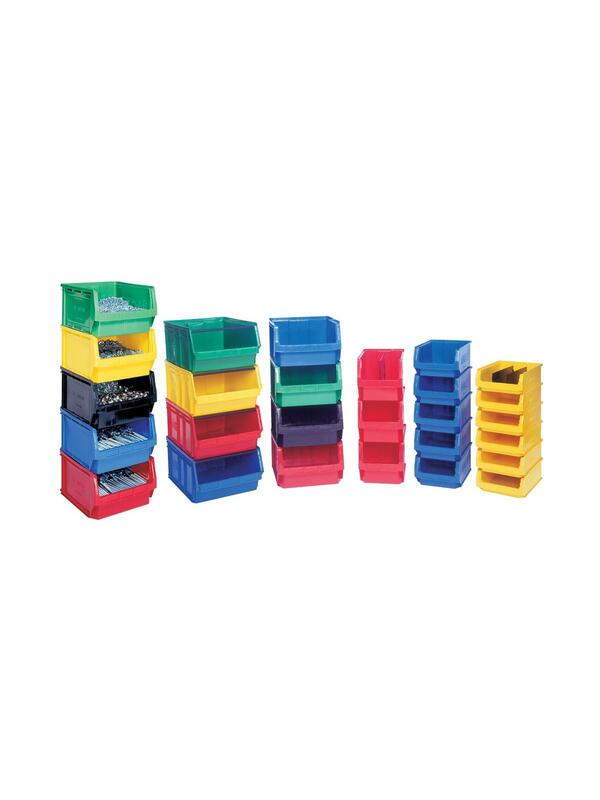 Bins have molded in label holders and 3 divider slots. Impervious to most industrial solvents, corrosion, rust and rot resistant. Withstands temperatures for ­-40°F to 180°F. Molded label holders. Optional clear windows maximize storage capacity, prevent spillage and protect parts from dust and dirt. Window converts bin into a true tote while allowing for inspection of parts. Optional dividers keep contents organized, providing maximum storage capacity. Available in Black, Yellow, Red, Green or Blue. FOB Shipping Point. See Related Items tab for Magnum Bin Units, Mobile Magnum Bins, Magnum Series Giant Hopper Bin - Clear Windows and Magnum Giant Hopper Bin Dividers. 19-3/4 x 12-3/8 x 11-7/8"19-3/4 12-3/8 11-7/8"
17-3/4 x 11-1/4 x 11"17-3/4 11-1/4 11"